Fuel economy rules: Automotive executives are very upset about the U.S. Environmental Protection Agency’s decision last week to shorten the midterm feedback and approval process until the end of this year on the 54.5 mpg by 2025 mandate. The midterm evaluation process was originally given a deadline of April 2018 for the EPA to issue its final ruling. Automakers felt a compromise deal made with the Obama administration in 2011, known as the One National Program, is being violated. Mileage gains and emissions reductions are set to go up much higher in the second round following the midterm review. Auto executives were hoping to reduce the target under current market conditions shaped by low gas prices, high pickup and SUV sales, and hybrid and plug-in vehicles staying at low volumes. While Trump’s election to the White House was surprising to them and many others, they’d been making contact with the president-elect to soften the mpg targets. There’s been a lot of speculation about how the Trump administration will respond to the EPA’s action, including attempting to reverse it or supporting a new law in Congress overriding the agency’s decision. Late yesterday, the Alliance of Automobile Manufacturers, which represents General Motors, Toyota, Ford, Volkswagen, and Daimler, urged congressional negotiators to include wording in a short-term budget resolution that would bar the Obama administration from finalizing the rules before it leaves office next month. Green car sales: November was a very good month for hybrid, plug-in hybrid, and all-electric vehicle sales. Hybrids were up 7.6% over the previous month and 13.3% over the previous year. Electric vehicles were up nearly 25% over the previous month and nearly 38% over November 2015. The Chevrolet Volt continued to do well and the Ford Fusion Energi surged passed the Tesla cars and the Nissan Leaf for the first time. Fast chargers in Europe: Six automakers – Volkswagen, Audi, Porsche, BMW, Daimler, and Ford – are planning a joint venture to bring more fast chargers to Europe starting next year. The automaker collective wants to set up about 400 charging sites in the first phase, and by 2020, they’d like to make sure electric car drivers have access to thousands of charging points. The charging network will use combined charging system (CCS) technology, which enhances existing AC and DC charging standards and allows for ultra-fast power levels up to 350 kilowatt hours. Pacifica plug-in: Fiat Chrysler Automobiles started production on Thursday in Windsor of the 2017 Chrysler Pacifica Hybrid, the auto industry’s first plug-in minivan. The plug-in hybrid minivans are expected to begin arriving in dealerships over the next several months. The starting price will be $34,495 with the U.S. federal tax credit (not including state and local incentives). The Pacifica Hybrid earned an EPA-certified 84 miles per gallon equivalent, including 33 miles in all-electric mode until an enhanced 3.6-liter V-6 takes over. The gas engine also kicks in under hard acceleration and other conditions. New mobility and autonomous services: German automakers are plunging into the mobility space to take on Uber, Lyft, Zipcar, and several other startups around the world. Volkswagen yesterday launched a new mobility services brand called Moia that eventually will have its own electric, autonomous passenger vehicles; it will start with shuttle services. It will be VW’s 13th brand and is part of its efforts to transform beyond the diesel emissions scandal. BMW Group said Friday that it will test autonomous vehicles in Munich next year. The automaker will have about 40 vehicles with self-driving functions in Munich’s inner city and then expand the project to other cities, BMW executives said on Friday. The test cars will contain test drivers, the company said. Toyota making changes: Toyota announced today it will be expanding development of its hybrid technology over the next five years to be ready for stricter emissions standards by governments around the world. Lower emission hybrid engines will be rolled out. It’s the latest move by the Japanese automaker aimed at making cars “greener” as global automakers face tighter regulations in China, the U.S., and Europe. Last week, president and CEO Akio Toyoda announced he will lead a group of executives overseeing upcoming all-electric vehicle launches. RNG plant: Air Liquide will design, construct and operate its first landfill gas (LFG) to renewable natural gas (RNG) purification plant in the U.S. at the Northeast Mississippi Landfill, in Walnut, Miss. The site, owned by the Northeast Mississippi Solid Waste Management Authority, is operated by national solid waste company, Waste Connections, Inc., and receives approximately 350,000 tons of waste per year. Air Liquide is a French multinational company which supplies industrial gases and services to various industries including medical, chemical, and electronic manufacturers. The company is well known in the U.S. for its role in the hydrogen fueling infrastructure. BYD fast trains: BYD unveiled an electric monorail system last week at the C40 Mayors Summit in Mexico City. The company’s President and Chairman Wang Chuanfu unveiled the Chinese company’s SkyRail electric monorail before representatives from over 93 cities. SkyRail is part of BYD’s urban transportation solution, which aims to address air pollution and traffic congestion. Like Tesla Motors, BYD has invested in several cleantech services including solar energy, energy storage, electric cars, and electric commercial vehicles including buses and refuse trucks. Tesla sales in Virginia: Richard Holcomb, commissioner of Virginia’s Department of Motor Vehicles, allowed Tesla Motors to sell its cars in the state, by reversing a September ruling denying Tesla a dealership license to operate a store in Richmond. Tesla had faced a number of legal obstacles to open stores in Virginia. In 2012, the electric carmaker applied for a license to open a store in northern Virginia and was denied by Holcomb. Countries agree to reduce GHG: The Clean Energy Ministerial, a global forum to promote policies and programs that advance clean energy technology, announced that eight nations have agreed to reduce their own government fleet transportation and other sources of greenhouse gas emissions. Canada, China, France, Japan, Norway, Sweden, the United Kingdom, and the U.S., signed the Clean Energy Ministerial’s Electric Vehicles Initiative. The agreement comes from resolutions made at COP21 during the Lima-Paris Action Agenda (LPAA) Transport Focus. Midterm mpg report: Hitting the 54.5 mpg target by the 2025 model year is not looking good, according to a long-awaited government report. Automakers are doing an excellent job of rolling out clean technologies, but buyer preferences have been leaning toward SUVs and trucks as gas prices stay down. The U.S. Environmental Protection Agency, National Highway Traffic Safety Administration, and California Air Resources Board released their draft Technical Assessment Report analyzing costs, technology, and other issues involved in the industry’s drive toward lowering greenhouse gas emissions. Administration officials told reporters on a conference call Monday that the 54.5 mpg goal was never a mandate but more of an estimate of where the industry could be by the 2025 model year. The report also says that automakers will be able to meet standards with improvements in standard gasoline engines, and won’t need to rely heavily on sales of hybrids or electric cars. In related news, automakers will be finding out that next month, NHTSA will more than double the fine it assesses automakers that fall short of their annual corporate average fuel economy standards. Penalties paid by automakers over the 2010-14 model years for missing fuel economy targets will be: $46.2 million by Jaguar Land Rover; $28.2 million by Daimler; $17.4 million by Volvo Cars; $4.8 million by Porsche; and $3.6 million by Fiat. On the other end of the scale, Mazda became the first non-electric automaker to hit 100% compliance with the 2016 CAFE standards, which called for a fleet average of 34.1 mpg. Before that, Tesla was the only automaker to meet the regulations, but its fleet is all-electric. Mazda’s entire lineup in the U.S. is powered by gasoline engines and includes no hybrids. Mazda says that its Skyactiv engine technologies has improved its fleet fuel economy. Refining Autopilot technology: Tesla Motors is working with suppliers Bosch and Mobileye to refine its Autopilot technology since the fatal crash in Florida. Tesla CEO Elon Musk, in a series of Tweets on Sunday, promised “moderate and maybe big advances” in Autopilot. The improvements would augment features such as the vehicles’ front-facing camera and radar, as well as 360-degree sensors. Musk said Tesla had a “promising call” with supplier Bosch, which provides the forward-looking radar on the Models S and X, and that “significant improvements” to the system likely will be forthcoming. As for the Tesla “Masterplan,” Musk is expected to outline future product and business plans that would go beyond the Model 3 the company is planning to launch during the second half of 2017. Consumer Reports urged Tesla to disable the automatic steering function in its Autopilot system. The magazine wants Tesla to disable the current system, require drivers to keep their hands on the wheel as part of an updated driver assist system, and stop referring to the product as Autopilot. States filing suit against VW: Maryland Attorney General Brian Frosh said in a statement that his state and others plan to sue Volkswagen over the environmental damage done by the carmaker’s so-called defeat devices. Frosh said Maryland is acting in coordination with the attorneys general of New York and Massachusetts, among others, and that a press conference will be held today. In related news, the California Air Resources Board said on Wednesday that the plan to fix the 2009-2016 model year VW and Audi vehicles equipped with devices designed to cheat emissions tests was insufficient. The state has rejected VW’s proposed recall plan to fix 16,000 3.0-liter diesel Volkswagens, Audis, and Porsches. Big Oil losing power: The oil industry is headed for change that will gradually reduce its power in the transportation fuel market, according to a Lux Research report. Alternative fuels and battery technologies are bringing serious threats to oil company profits, along with the impact of the Paris climate change agreement made at the end of 2015. Accord Hybrid just the beginning: Honda says that the refreshed 2017 Accord Hybrid is just the beginning of a comprehensive lineup of green cars. Subtle changes to the Accord Hybrid’s 2.0L gasoline engine and the smaller, lighter hybrid system put the Accord Hybrid at the top of the midsize hybrid sedan segment for fuel economy, at 50 mpg city and 47 mpg highway, based on 2016 rating criteria. “It’s the first step in our plan to create a true volume sales pillar for electrified vehicles of all kinds: hybrids, plug-ins, battery electrics and fuel cells,” says Jeff Conrad, general manager of the Honda brand. 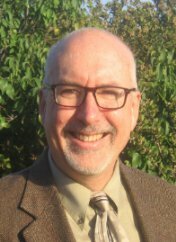 Concerns over watering down LCFS: John Boesel, president and chief executive of Calstart, has written a guest column coming from a joint letter submitted recently to state legislative leaders. Nearly 60 producers and providers of clean fuels, ranging from electricity to renewable diesel, have signed a joint letter urging state policymakers to sustain the state’s Low Carbon Fuel Standard. The successful LCFS policy may be in danger, Boesel says, and the coalition would like to see California continue supporting the low carbon fuel policy. California Gov. Jerry Brown is negotiating with the oil industry to preserve the state’s greenhouse gas cap-and-trade program. The governor wants to put together a legislative coalition that will provide a two-thirds majority vote to extend California’s climate program to 2030 and beyond. “Part of that involves freeing the cap-and-trade program from potential legal challenges. The governor may be willing to compromise on the LCFS to get the oil industry’s support,” Boesel wrote. Ford Fusion Energi: Ford has added another plug-in hybrid to its product line. The Fusion Energi joins Ford’s C-Max and Focus family of hybrid and plug-in hybrid vehicles. Ford thinks it will take the leading edge of a fleet of 13 new electrics the company says it will put on the road by 2020. The automaker says the Energi can travel 21 miles on battery electric power before the gasoline engine kicks in. LA port sustainable advisory board: Los Angeles Mayor Eric Garcetti last week announced the appointment of an advisory panel tasked with reducing air pollution from the Port of Los Angeles by expanding the use of zero-emissions technology. The 10-member Sustainable Freight Advisory Board is made up of representatives from industry, environmental groups, labor, and air quality agencies. The new board will advise the port on how to work with manufacturers to develop and deploy cleaner trucks, trains, ships, and cargo-handling equipment. Both the Los Angeles and Long Beach ports are working on reducing emissions from the single largest source of air pollution in Southern California. Uber passes 2B mark: Uber passed the two billion ride mark on June 18, CEO Travis Kalanick said in a Facebook post, six months after marking its first billion rides. That surge in rides was due in part to its heavy spending to recruit drivers and passengers, which is made possible by more than $13 billion in funding from investors. Uber is offering rides in 450 cities globally, up from 311 a year ago. Protean finds more funding: Protean Electric just announced an additional $70 million in funding to support development of its in-wheel electric drive systems. New funding has comes from GO Scale Capital, Zhejiang VIE Science & Technology Co. Ltd., and Tianjin THSG Corporation. Existing investors Oak Investment Partners and GSR Ventures co-invested in Protean’s equity financing round. The new funding will be used to ramp up production in China of Protean’s PD18 product line, and for new product development and formation of a manufacturing joint venture with VIE. If you take a look at the auto industry benchmark for where corporate average fuel economy (CAFE) stands for new vehicle sales, the US could be very far away from even getting close to hitting the 54.5 mpg by 2025 mark in the next 10 years. The University of Michigan’s Transportation Research Institute reported that new vehicles sales averaged 25.5 mpg in May. That’s a big step forward from the 20.1 mpg recorded in October 2007, when the Transportation Research Institute (TRI) began tracking that data. But if that same ratio for fuel economy improvements were to be continued over the next 10 years, it would mean that the actual CAFE of new vehicles sold would be closer to being somewhere in the low 30s for mpg – way off the 54.5 mpg mark. What it comes down to is how those measures are being defined. TRI bases its numbers on sales-weighted arithmetic to determine the average of window sticker ratings, not the average fuel consumption rate, for new vehicles sold during that month. It’s based on the combined city/highway fuel-economy ratings published the EPA Fuel Economy Guidefor each model. The TRI calculations don’t include the various credits and adjustments available to automakers under the federal rules and guidelines that will be used in determining final CAFE performance values. The federal standards include incentives for battery electric vehicles, plug-in hybrid electric vehicles, hydrogen fuel cell vehicles, compressed natural gas vehicles, and flex-fuel vehicles. Its methodology is based on the “multiplier approach,” which means that each of these alternative fuel vehicles would count as more than one vehicle in the automaker’s compliance calculation. Electric vehicles and fuel cell vehicles will start with a multiplier value of 2.0 in the 2017 model years, and that will phase down to a value of 1.5 in the 2021 model year. California’s zero emission vehicle (ZEV) policy was factored into the equation by the US Environmental Protection Agency and National Highway Traffic Safety Administration when finalizing the fuel economy rules in 2012. California offers ZEV credits for battery electric, plug-in hybrid, and fuel-cell vehicles. Tesla Motors and Nissan have been trading ZEV credits with automakers who need to catch up on their compliance with California rules. California’s ZEV credits also apply to vehicles sales in seven other states that have adopted these rules – Connecticut, Maryland, Massachusetts, New York, Oregon, Rhode Island, and Vermont. These eight states would like to see 3.3 million ZEVs on their roads in the next 10 years. The ZEV program is being enforced by the California Air Resources Board, which is now lightening up on its rule interpretation. Automakers with less than $40 billion in annual global revenue now will have the option to sell plug-in hybrids only to earn credits toward compliance, rather than being forced to sell some battery electric or hydrogen fuel cell vehicles. If they don’t sell enough, they’ll still need to buy credits from automakers that sell electric vehicles in sizable numbers. The US Environmental Protection Agency (EPA) expects that the majority of fuel economy improvements will come from fuel efficiency advancements in internal combustion engines and reducing the weight of vehicles on the road by using aluminum alloy and other lighter metals. Automakers will also get mpg credits for adopting efficient technologies that often show no effect on the official test cycles. These include active grille shutters, electric heat pumps, stop-start systems, high-efficiency lights, and solar roof panels. Earned credits could amount to about 3 mpg if several are used, or even more if an automaker provides testing data. EPA also expects that vehicle air conditioning systems will continue to become more efficient, reduce leakage, and use alternative refrigerants with lower hydrofluorocarbon emissions. That has shaved off about 5 mpg from the 54.5 mpg target. Light-duty trucks (pickups, SUVs, and vans) are being given more flexible compliance rules. 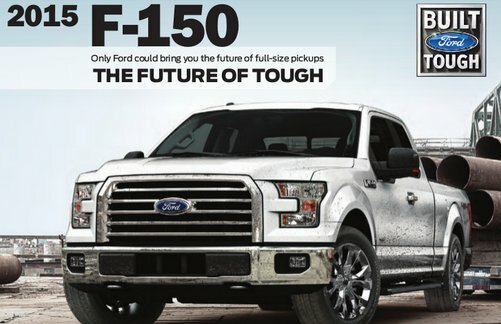 For example, there are separate incentives for “mild” and “strong” hybrid trucks if they’re sold in sufficient quantity. There will also be credits for natural-gas–powered vehicles to match their reduction in greenhouse gases. Another layer to consider is how the fuel economy standards are being interpreted – whether that be the CAFE standards enacted in the 1970s or the new model adopted in 2007. In 2007, the EPA adjusted its model for 2008 model year vehicles by adding three additional tests that utilize greater technological sophistication to arrive at the EPA-estimated values. The three new tests include a high-speed test that maxes out at 80 mph, the air condition test under “hot ambient conditions,” and a cold temperature city test conducted at 20 degrees. The current EPA model discounts its finding by about 20% and that’s what is shown on the window sticker. These adjusted values may bring the actual 2025 target down to about 40 mpg. As for the second market trend to consider……. 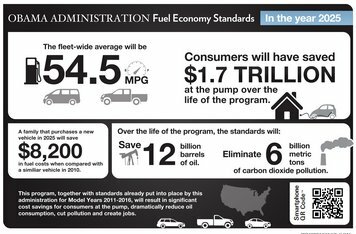 The federal fuel economy standards were based on reducing fuel consumption and greenhouse gas emissions. There’s another way that goal could be achieved: seeing less vehicles on the roads and less miles driven. Urban planners and several automaker executives expect traffic congestion to worsen dramatically in the near future as more people move into cities to work and reside – which is called “urbanization.” Some auto executives and analysts expect new vehicle sales to decline in the US, Europe, and Asia as younger consumers (Millennials) opt for bus and rail, walking and bike riding, and transportation alternatives. These transportation alternatives include carsharing and ridesharing services (including Car2go, Zipcar, Uber, and Lyft), which have been seeing dramatic user growth in the past two years – and investments by automakers and car rental companies into the carsharing market. 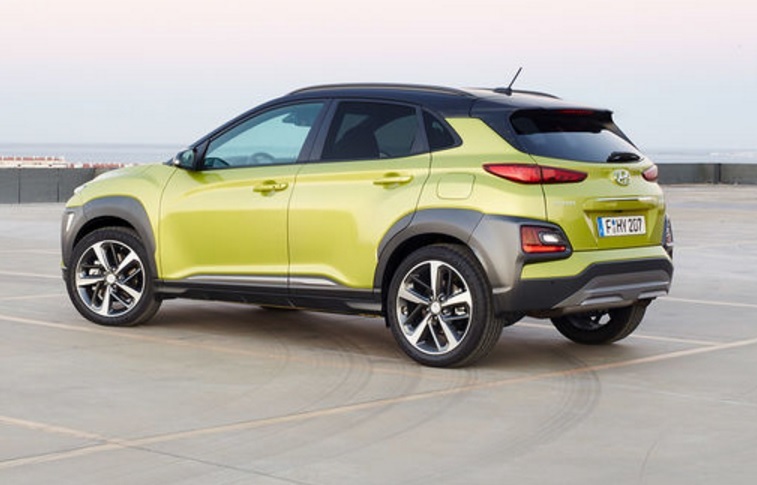 As for Millennials who are buying new cars (which has been growing lately), many of them are showing much interest in hybrids and electric vehicles. What’s next? The EPA is expected to propose regulations to cut greenhouse-gas emissions from medium-to-heavy duty trucks any day now. Truck makers have been expressing much concern about these increasingly stringent rules, and may fight them in court or through private negotiations with regulators. As for light-duty passenger vehicles, automakers for the most part don’t expect the feds to soften the planned targets. In June 2016, the EPA and California will release a technical assessment report as a midterm review, according to Christopher Grundler, director of the EPA’s Transportation and Air Quality office. The agency won’t make any conclusions on the feasibility of the final rules and will accept public comments during town hall meetings. The final decision on the outcome of the midterm review will be made by April 2018. The per-gallon price of gasoline has a huge impact on the auto industry – sales of small cars, hybrids, and electric vehicles compared to trucks and SUVs; resale values of these segments; and capital expenditures by OEMs. Expectations of where oil prices will go in the next two years will play a big part in new vehicle purchases and what OEMs decide to place in their product pipelines. A new study says that US consumers don’t expect gas prices to fall as far down as they did in recent years – and that prices will be going up soon. 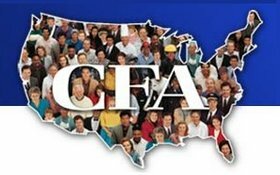 The latest national survey on consumer attitudes by the Consumer Federation of America (CFA), reported that US consumers expect the national gasoline price average to rise by almost 50% in the next two years – from about $2.14 to $3.20 – and by over 80% in the next five years – to $3.90. While gas pric es dropped dramatically in the second half of 2014, consumers are still building these price increases into their next vehicle purchase. The fuel price volatility experienced in 2008, and again in 2010, has made a lasting impact on consumer attitudes. More than four-fifths (86%) of survey respondents said that gas mileage will be “important” in their next purchase, while over half (57%) say it will be “very important” in determining what vehicle to purchase. Fleet acquisitions will likely be met with similar considerations. According to fleet industry coverage (such as articles in sibling publication Fleet Management Weekly), fuel prices and fuel efficiency are up there with telematics, vehicle safety, emissions, and functionality as key factors in making fleet vehicle acquisitions. Major automakers, including commercial truck manufacturers, are going to continue to invest in alternative fuel vehicles and advanced vehicle technologies. Their executives predict that global demand for fuel from fast-growing economies like China, India, and Brazil, will push gas prices higher in the next two years and beyond. In the end, financial concerns are driving interest in fuel efficiency. “Buying an inefficient vehicle during periods of low gas prices condemns the consumer to wider swings in monthly costs, much higher monthly peaks and a whopping overall increase in lifetime gas costs,” said Dr. Mark Cooper, CFA’s Director of Research, about the CFA study. That sounds very familiar to conversations I’ve had in the past couple of years with fleet managers. There sometimes are concerns and mandates to reduce emissions and fuel consumption, but in the end, containing costs is the top priority given to fleets in corporate, government, and other sectors. For the clean transportation industry, fleets are the focal point of direct marketing. Tesla Motors is benefiting from upper income, educated individuals signing on for lease payments on the Model S, but as for the rest of the green vehicles and infrastructure, fleets make up most of the marketplace. Besides buying in volume, they bring institutional credibility to the new technology. 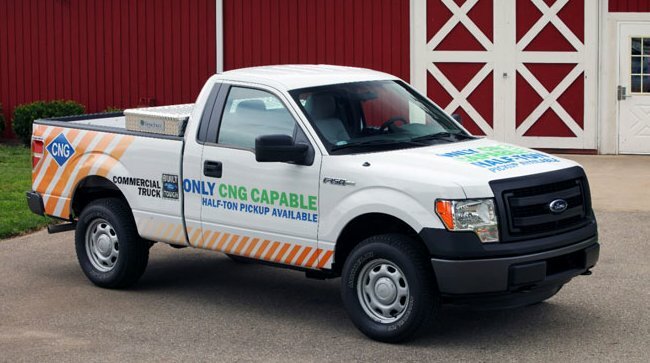 If a municipal fleet brings in 150 compressed natural gas trash trucks; or a delivery fleet reduces its fuel consumption and emissions 20% in one year by switching over to hybrids, that truly stands out with media, stakeholders, and the general public. Debunking myths emanating from common alternative fuel vehicle misconceptions was the focus of a speaker panel at Green Fleet Conference in Schaumburg, Ill., last week. Richard Battersby, manager of Equipment Services for the City of Oakland, Calif., and coordinator of the East Bay Clean Cities Coalition, chaired the panel. Battersby thinks there is a “dizzying choice” available today in fuels: CNG, LNG, renewable natural gas, dimethyl ether (DME), E85, hydrogen, battery electric, plug-in electric, biodiesel, renewable diesel, algae diesel, clean diesel; and there will be more. Read on for interesting quotes on electrified transportation, diesel, biodiesel, propane, and natural gas. The city of Indianapolis signed up for Vision Fleet’s Clean Miles Solution, a total-cost-of-ownership plan for bringing electric vehicles (EVs) into its fleet. It bundles the process together and guarantees all the expenses of purchasing, operating, and fueling an EV. Indianapolis will utilize Clean Miles Solution to deploy 425 EVs in its non-police fleet by early 2016. 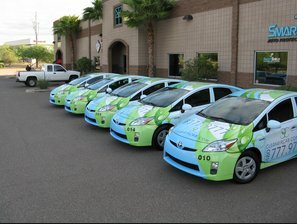 That will be the largest ever EV deployment by a public fleet in the US. It comes out of an executive order made by Mayor Gregory Ballard in 2012 that pledges the city’s fleet will reach post-oil technology by 2025. PepsiCo has removed 55,000 metric tons of carbon dioxide from the atmosphere through reducing fuel consumption in its fleet by 24% since 2010. That will continue further for its trucks and passenger vehicles, according to Green Century Capital Management, which is working with Pepsi on its climate change efforts. Pepsi’s plan includes implementing a formal request for proposal process seeking low carbon fuel alternatives from its suppliers. Downsizing the fleet and looking for transportation alternatives has become a viable option for a few municipal fleets in large US cities. Their goals can be met several ways to reduce carbon emissions and fuel consumption. Reducing the number of vehicles in their fleet, based on their utilization rates, has been at the heart of it. Bringing in outside vendors such as Zipcar for its carsharing services is also taking care of short-term transportation needs. Fleet managers will see several of the vehicles in the fleet idling in parking lots for the majority of time. Downsizing the fleet and accessing alternative transportation is reducing costs and bringing accolades to fleet staff. 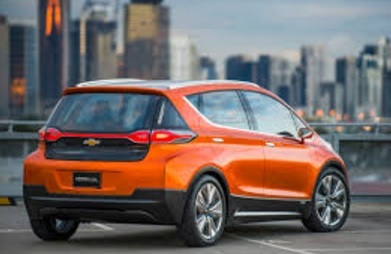 ♦Federal and state incentives, and those offered by automakers and dealers, will be continuing for a while on electric vehicles, natural gas vehicles, hydrogen fuel cell vehicles, and propane autogas vehicles. ♦The infrastructure is getting better all the time in charging stations and alternative fuel pumps. 2. CALSTART has announced two keynote speakers for its Annual Meeting and Blue Sky Awards luncheon. Christopher Grundler, director of the Office of Transportation and Air Quality for the US Environmental Protection Agency, and Dr. Cheryl Martin, acting director of the Advanced Research Projects Agency-Energy (ARPA-E) at US Dept. of Energy, will be speaking at the event on Tuesday, December 9, 2014, in Los Angeles. The CALSTART annual meeting will feature leading public policy officials, investors, and industry leaders with the sole focus of developing new plans and initiatives supporting clean transportation technologies. Leaders in the field will be honored; for over a decade, the Blue Sky Award has been presented annually to companies and individuals who have made outstanding contributions to the development of clean, sustainable transportation, and technologies. You can view the preliminary agenda here; and for more information, to review the agenda and register, you can email Susan Romeo at sromeo@calstart.org. 3. Tesla Motors may add franchised dealers into its retail chain to gain access to states like Texas and potentially Michigan that have banned Tesla selling directly to consumers. “We may need a hybrid system, with a combination of our own stores and some dealer franchises,” Tesla CEO Elon Musk acknowledged during an interview with John McElroy on Autoline Daily. Michigan’s governor is scheduled to make a decision today on whether he’ll be signing into law the state legislature’s decision last week to ban Tesla from selling or operating a gallery. There are no details yet on how this distribution network would be structured, but it might also assist Tesla in building its presence in states with bans or others like New Jersey and Nevada that are allowing Tesla to sell in the states with limited presence. 4. The US Environmental Protection Agency (EPA) will issue revised guidelines by the end of this year on mpg ratings. Christopher Grundler, director of the EPA’s Office of Transportation and Air Quality, says it has much to with the agency’s “coast-down” test that has been the source of mistakes impacting Hyundai, Kia, Ford, and Mercedes-Benz to revise their fuel economy ratings since 2012. During testing, vehicles are sped up to 80 mpg then coast to a step for readings on aerodynamic drag, friction in the drivetrain, and other data points. That data has been going into dynameters for simulations of the vehicle’s performance on real roads. New guidelines will come out clarifying how the test should be conducted, and more accurate audits of automakers’ testing results, Grundler said. 5. China will crackdown on automakers that fail to meet fuel economy requirements on passenger vehicles set to rollout in the 2015 model year. China has standards similar, but stricter, to those being adopted in the US, Europe, and Japan – requiring corporate average fuel economy of 34 mpg in 2015 and 47 mpg in 2020. The rule takes effect on Nov. 1. The Chinese government says it will publicly name automakers, both foreign and Chinese, who fail to meet the 2015 target; and there will be a ban on new vehicles that don’t meet fuel economy targets that will be determined by a special weight-based formula. 6. Kia has been slacking on joining the electric vehicle competition, but it’s got a very cool car, according to the New York Times. The 2015 Kia Soul EV got a rave review for a few reasons, one being its 27 kilowatt-hour battery pack. The EPA gives it a range of 93 miles on a charge, better than other EVs and especially significant for its small car size. The reviewer was able to reach just about 100 miles each time without resorting to extreme eco-maneuvers. 7. Clean Energy Fuels introduced a patent-pending product designed to help fleet operators sequester natural gas vehicles (NGVs) in their existing maintenance facilities. NGV Easy Bay is the “lowest cost separation and vapor containment system available” for NGV maintenance and storage facilities, the company says. 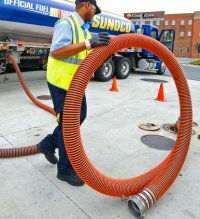 It was developed by the company’s facilities modification team, which has been helping potential operators solve problems faced in converting not only their vehicles but their vehicle support installations for natural gas using its code-compliant fabric barrier system. 8. LG Chem predicts it will be the giant in electrified transportation batteries in 2017 – 25% of a $5 billion global market in lithium batteries for battery electric, plug-in hybrid, hybrid, and microhybrid vehicles. Prabhakar Patil, CEO of LG Chem Power Inc., the Korean company’s North American division, thinks that LG Chem will continue to grow despite Tesla Motors’ decision to go with Panasonic at its upcoming “gigafactory” in Reno. Nev. Patil thinks the EV market will grow and is in talks with several automaker about supplying them with batteries. He also thinks it’s pretty questionable that Tesla and Panasonic will be building 500,000 electric vehicles a year. 9. US Energy Secretary Ernest Moniz is impressed with a new biofuels plant in Kansas – he says it represents the future of ethanol production and next-generation biofuels, solar, and fossil technologies that reduce greenhouse gas emissions. The $500 million refinery in Hugoton, Kansas, is now one of three commercially sized facilities in that US that only use plant waste, such as stalks and leaves, for production. That would mean staying out of the “food vs. fuel” debate that plagues the corn ethanol used in E10 gasoline. Abengoa, a Spanish company, opened the plant in late September. The plant has been funded by an Energy Dept. grant and loan guarantee, and it has the capacity to produce 25 million gallons of ethanol per year. The US Environmental Protection Agency (EPA) yesterday finalized what it calls “Tier 3 standards” requiring gasoline sulfur levels to be reduced by two thirds from 30 parts per million (ppm) to 10 ppm. EPA says that its new emission standards for cars and gasoline will significantly reduce harmful pollution and prevent thousands of premature deaths and illnesses, while also enabling efficiency improvements in the cars and trucks. Smog emissions, including nitrogen oxides and volatile organic compounds, are expected to drop 80% compared to today’s vehicles and particulate matter (soot) will drop by 70%. These standards will begin being implemented in model year 2017. The Tier 3 standards are being supported by automakers, labor, consumers, and public health advocates. Once fully in place, the standards will help avoid up to 2,000 premature deaths per year and 50,000 cases of respiratory ailments in children, according to the EPA. Tesla Motors has yet another potential breakthrough concept in the works –its “Gigafactory” concept could bring more affordable electric vehicles to market through a large scale lithium battery factory. It would mean investing up to $5 billion with partners in a battery plant that can supply 500,000 electric vehicles a year by 2020, after opening up in 2017. Panasonic may be considering joining in; Panasonic is currently Tesla’s largest supplier of lithium ion batteries. “In cooperation with strategic battery manufacturing partners, we’re planning to build a large scale factory that will allow us to achieve economies of scale and minimize costs through innovative manufacturing, reduction of logistics waste, optimization of co-located processes and reduced overhead,” Telsa posted last week on its blog. By the end of the first year of production, the per kilowatt cost of the battery pack could be reduced by more than 30%. Tesla is looking for plant locations in Nevada, Arizona, New Mexico, and Texas and said that site selection will be happening soon. When you view the charts Tesla compiled, the first one shows that its new battery factory will be producing more batteries by 2020 than all the other lithium battery makers combined are making today – that’s quite a claim. Nissan did better in Leaf sales – at 1,425 cars sold it was a record for the month of February, more than double the amount from a year earlier. That makes for 12 straight months of year-over-year sales increases. Its top two markets last month were San Francisco and Atlanta; the rest of the top five was Los Angeles, Seattle, and Portland. The Chevrolet Volt’s sales have been seeing a decline – at 1,210 it was higher than January’s 918, but down a third from February 2013’s total of 1,626. Tesla continues to not report monthly sales, but the estimate was 1,000 to 1,200 units of the Model S sold. Honda appears ready to pull its Insight hybrid off the market – one of the very first hybrids to come to market when it was introduced in 1999, before the Toyota Prius. The original two-seater hybrid got even better mileage than the Prius or the Honda Civic hybrid. It was redesigned in 2009 with a backseat, but it failed to grow in sales numbers even though it sold for less than $20,000. President Obama is bringing to medium- and heavy-duty trucks and buses what was previously brought to passenger cars – a second level of fuel efficiency standards. The first round covered model years 2014 through 2018; the new standards will be in place in about tow years and will extend the rules into the next decade. Even though ECOtality is out of business, its Blink electric vehicle charging stations are still around. IKEA added four stations at one of its Chicago-area stores as part of its partnership with Car Charging Group, Inc. IKEA started installing stations in 2011 in Arizona, California, Oregon, and Washington and wants to place them at 55 US locations. Daimler will be launching a new battery electric vehicle in partnership with China’s BYD. It will go through the Denza brand and be shown as a concept hatchback car at the next Beijing Motor Show. It will be called the “NEV” – or New Energy Vehicle, which means it’s being built for China. One of the popular car trends in that market will be met – rear seating will have the feel of a lounge area, perfect for riding in when you have a chauffeur in the front seat doing all the driving. For those in the natural gas vehicle business, a new challenge took hold on January 1, 2014 – a federal tax credit expired, which has been adding 50 cents on each gasoline gallon equivalent (GGE) of natural gas sold at a lot of fueling stations. That’s been a 30% cost increase at some fuel stations, and it’s a cause for concern for compressed natural gas (CNG) vehicle owners and for those providing the vehicles and infrastructure. 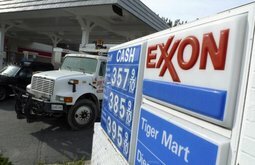 Prices are varying in the US – around $1.65 to $2.50 per gallon equivalent around the country (according to CNGPrices.com on January 20). Gasoline prices were about $3.28 and diesel is around $3.85 nationwide according to AAA. Taking an estimated average of $2.10 for natural gas GGE in the US, that makes it about 64% the cost of gasoline and 54% the cost of diesel. Not long ago, natural gas was costing well under half the price of gasoline and only about one third the cost of diesel. 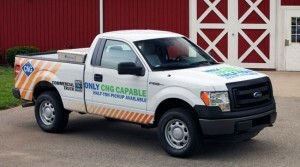 It is being felt in Oklahoma, which has more CNG fueling stations per capita than any other state. It apparently hasn’t caused uproar yet, since Oklahoma has been seeing cheaper price per gallon – still under $2.00 per gallon equivalent in parts of the state, but it is being noticed. Operators of fueling stations have some decisions to make in that market and around the country about how the pricing will go. Natural gas producers had been passing the credit on to consumers. Time will tell who will be paying that increase, but based on scanning the news and talking to someone in the business, natural gas prices are starting to rise for consumers now that the credit has gone away. For example, natural gas producer Apache has passed on a 50 cent increase to its 19 fueling stations in Texas, Louisiana, Oklahoma, and New Mexico. Apache had seen an 88% increase in CNG sales at its stations in 2013 due to the low prices for natural gas. • The tax credit might come back in Washington; it was part of the “fiscal cliff” fight over a year ago, and could return as a tax credit or another incentive from the federal government. NGV advocates like T. Boone Pickens have been knocking on doors in Washington and lobbying for it. NGVAmerica reported that Sen. Max Baucus (D-MT) had drafted a bill to modify all energy taxes including the CNG fuel credit in a tax extender bill. His proposal, if adopted, would extend the fuel credit for three years (until 2016) and modifies them with a clean fuel credit based on BTU and emission factors. Senate Majority Leader Harry Reid (D-NV) has introduced a senate bill that includes an extension of related credits until 2014, and other elected officials have been supportive in the talks. It’s a wait-and-see situation, according to NGVAmerica. • The benefits of going with natural gas are still there; the fuel is expected to remain very cost competitive for years to come in the US due to its abundant supply. The reduced emissions with CNG and LNG is very appealing to fleets directed by carbon and smog emissions targets. • The vehicle offerings are getting better. There are a lot of EPA and CARB-certified commercial vehicles and pickup trucks out there. Consumers like the Honda Civic Natural Gas and Ford F-150 – it appears to be slowly growing in interest from consumers who might have bought a hybrid or clean diesel vehicle before. The price is higher for NGVs due to gasoline and diesel comparable vehicles – usually around $10,000 for a conversion (sometimes cheaper); so it takes about a year and a half to break even and loss of the tax incentive will add a few months to that calculation. • The infrastructure has a long way to go, but it is getting better each year. Navigant Research predicts that 40% of the stations to that will be opened in the next two years will be in North America. Growth in the fueling station networks will help take away some of the hesitation.